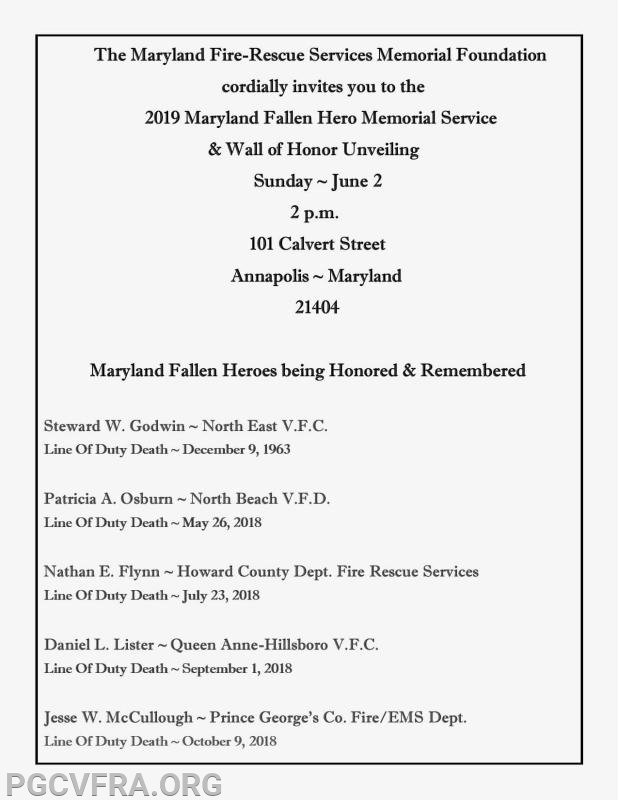 The Maryland Fire & Rescue Memorial Service is scheduled for June 2nd in Annapolis. The honored will include a PGFD member. Please plan to have a representative of your department attend to help honor our fallen 1st Responders.